PhD on Track is a web resource aimed primarily at PhD candidates and early career researchers. The ambition is to provide an accessible point of departure for beginning researchers related to searching and reviewing scholarly literature, academic writing, and sharing and publishing reports and data. 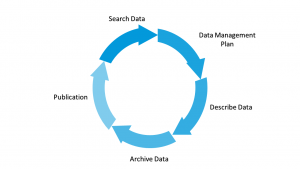 The three main themes on the page are Search and Review, Share and Publish, and Open Science. 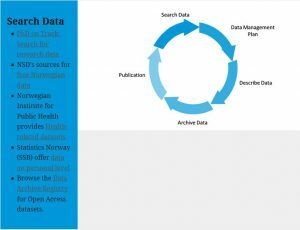 The open science section discusses some of the fundamental issues on open access publishing, open archives, (for example NTNU Open), research data and data management, including how to make a data management plan and how to handle sensitive data. Pre-registration, research ethics, copyright issues, and research assessment are also discussed. PhD on Track provides an overview of the most essential information about open science in one resource. Why an open science section? 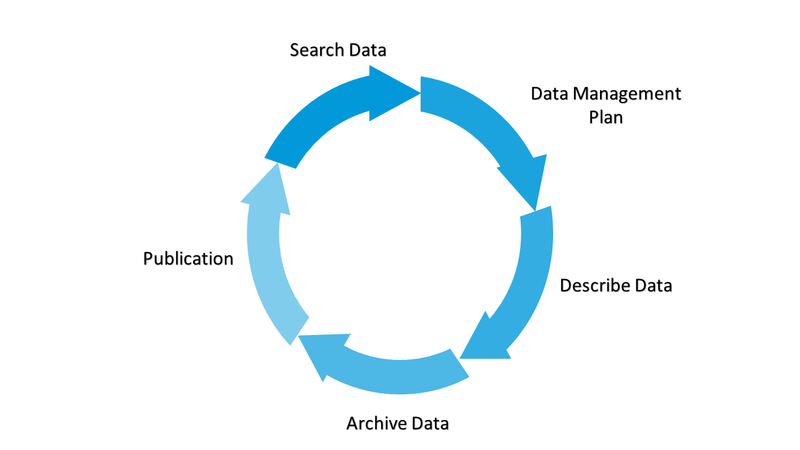 Revisions of the first (2013) version of PhD on Track were made in response to important developments regarding new national and international guidelines on open publishing and data management, and in open science in general. For example, click on the arrow marked Search Data to get useful information on where to find data you are free to use. 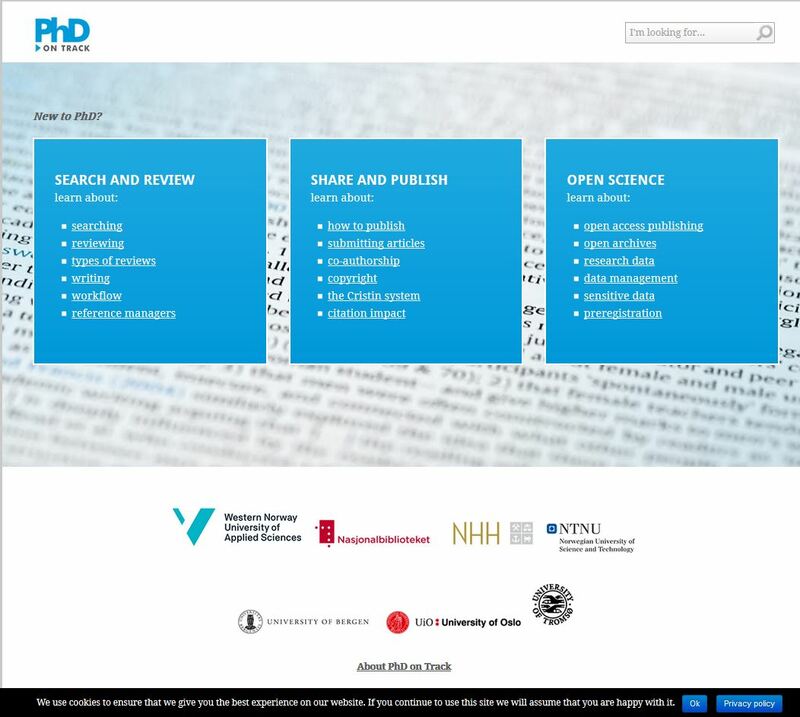 In the Search and Review section, the ‘new’ PhD on Track website also provides information on academic writing, workflow and systematic search and review . And quite a lot more. 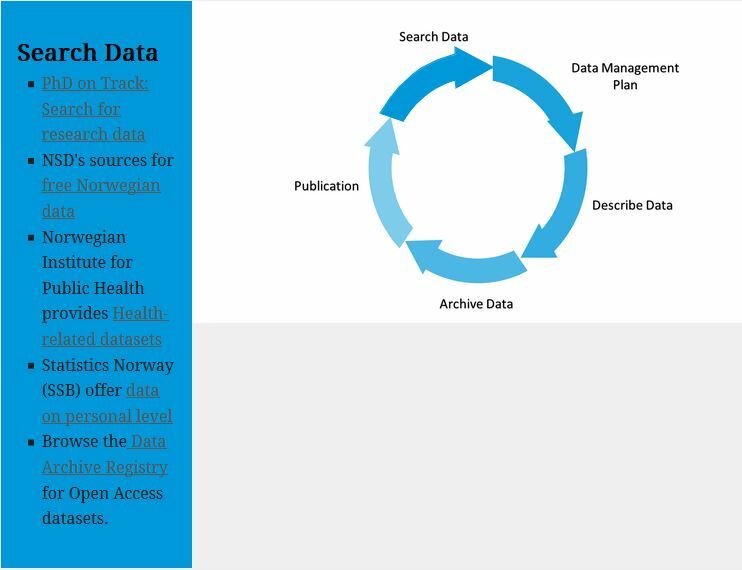 PhD on Track is an open, freely available resource provided by the libraries of the University of Bergen, Western Norway University of Applied Sciences, NHH Norwegian School of Economics, the University of Oslo, the Norwegian University of Science and Technology (NTNU) and UiT The Arctic University of Norway. PhD on Track was relaunched on 6 November 2018. PhD on Track was originally launched on 23 May 2013. The selection of topics under each heading was based on findings from a study of PhD candidates’ interaction with information in research processes. PhD on Track and the study of PhD candidates’ interaction with information and literature were originally the products of a joint project involving the libraries of Oslo, Bergen and Aalborg universities, the NHH Library and the Bergen University College Library. The project received development funding from the National Library of Norway. In 2016 the NTNU University Library and the library of UiT The Arctic University of Norway joined the project, while the library of Aalborg University left. See also About PhD on Track.